In this video Sharyn Wynters will be talking with Michael Bernard Beckwith one of my favorite spiritual teachers. 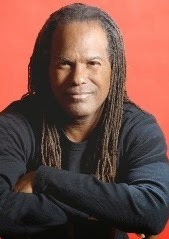 She introduces Michael Bernard Beckwith as 'an American New Thought minister, author, and founder of the Agape International Spiritual Center in Culver City, California, a New Thought church with a congregation estimated in excess of 8,000 members. Beckwith was ordained in Religious Science in 1985. His life is a living testament to building spiritual community. In the 1970’s he began an inward journey into the teachings of East and West, and today teaches universal truth principles found in the New Thought-Ancient Wisdom tradition of spirituality. Gifted with a vision of a trans-denominational spiritual community, in 1986 he founded the Agape International Spiritual Center upon his faith in that original vision. Watch this one hour interview for insight and spiritual revelation.